The yellow cab, that quintessential fixture of Manhattan’s landscape, is also one of the least healthy spaces to work in the city. Drivers face not only constant stress from snarling knots of traffic but also a phalanx of exhaust and smog, all while being painfully cemented to a driver’s seat. And often, their cabs are better insured than they are. Now they face legal gridlock in the long-awaited launch of an unprecedented pro-worker medical program. 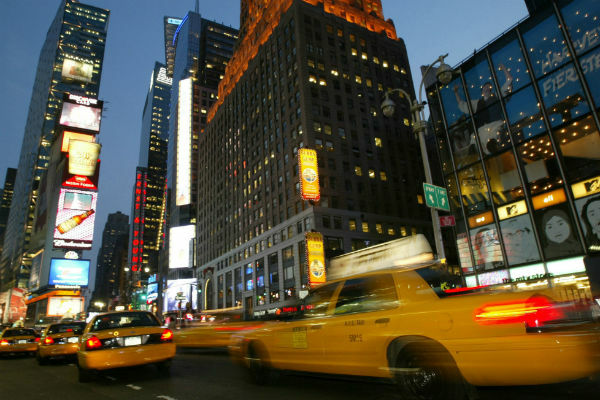 In 2012, the Taxi and Limousine Commission (TLC), the agency that regulates the industry, agreed to set up supplemental health and disability coverage for drivers, financed with a six-cent-per-fare deduction from earnings. Managed through a special nonprofit affiliated with the advocacy organization Taxi Workers Alliance (TWA), the fund would expand on the barebones benefits offered through the state Workers Compensation system. By providing weekly payments of about $300 to $350 for sick and injured workers, the fund would offer vital support, particularly for off-duty disabilities or illness. That added safety net could have a real impact in an industry plagued by economic instability and lack of regular medical benefits. The fund, which also enjoyed the support of the de Blasio administration, marked a political victory for the TWA, a self-proclaimed unofficial union with about 17,000 members of a workforce of more than 52,000. Since the late 1990s, the group has pioneered novel organizing tactics for a historically marginalized service sector, where supposedly “independent” drivers are systematically priced out of an oligarchical ownership regime. If TLC were concerned about a taxi driver’s health affecting the driver and the public at large, it might better serve both if the drivers were to go for an annual health check-up rather than deduct six cents from every fare to help drivers with choosing an insurance in the hopes that they will seek medical care. In perversely treating the avoidance of healthcare as a matter of personal “rights,” the ruling distorts the basic purpose of the fund, according to TWA executive director Bhairavi Desai: to provide supplemental temporary coverage for drivers’ immediate needs. The plan is designed to be accessed with just a regular doctor’s certification, rather than through the deeply dysfunctional Workers Compensation bureaucracy. With collections of healthcare fees now halted, the court’s decision is only adding insult to injury. The largely immigrant workforce regularly clocks up to twelve-hour shifts crammed into chronically painful stationary positions, and suffers massive sleep deprivation and, not infrequently, violent criminal attacks. As drivers lose up to a third of their hourly wages to the heavy costs of fuel and lease payments, according to the TLC, those thousands of metered hours per year generally amount to an income in the mid-$30,000 range—far below a living wage. According to the TWA, the fund would help workers like Simmons by augmenting the current limited Disability Insurance fund payments, which might be less than $200 a week. Roughly half of drivers are uninsured, and according to The Washington Post, many might be unable to access decent coverage through the Affordable Care Act’s insurance exchanges. The blocked TWA plan would, ironically, help to compensate for fleet owners’ longstanding neglect of their existing obligations to pay for their drivers’ disability insurance under the state’s current Disability Benefits Law. This industry-wide mandate went unenforced for years, though owners should be subject to legal penalties. To deal with these health burdens, the TWA seeks to create a sustainable benefits scheme with its new plan, which would offer coverage not just for illness and off-duty injuries but also for family coverage for vision, hearing and dental care, along with modest benefits for mental health counseling, alternative medicine and diagnostics. The group’s long-range goals include establishing retirement benefits and, ultimately, secure contracts under a full-fledged, federally certified union—potentially a model for other cities where drivers are organizing, like Chicago. The impasse facing the TWA program stems from the taxi workforce’s structural exclusion from labor protections. Like many other drivers in cities across the country, New York’s cabbies must lease special titles, known as medallions, from fleet owners or owner-drivers. This situation makes them “independent contractors,” and as such they lack basic collective bargaining and unionization rights. Meanwhile, poorer drivers are edged out of the monopolized medallion market, where the prized titles might auction for over $1 million. So drivers’ precarious “independence” ends up tethering them to a rent-seeking fleet owners’ regime. The industry argues they’re simply serving legitimate business interests, but the bosses squeeze passengers, too. Under the massive influence of the industry lobby, fares have risen, and aggressive litigation has squelched plans to put more hybrid cabs onto city streets. Really what all this is indicative of is that the fleet owners…have been the landlords of their own fiefdom for the past 30 years under leasing, and we’ve been mounting a formidable challenge. And I think if the fund were to be established, the dynamic it will change in this industry is: the need to prioritize drivers’ health and well-being will become an institutional priority, not just rhetoric. And I think that can have tremendous impact on the economic inequities of this industry. As the TLC says, “The market sets the price,” but in a market built on the feudalization of legions of drivers, the taxi barons have run roughshod over the city. This article has been updated to correctly reference the Disability Insurance fund as the source of workers’ payments and 6-cents-per-fare deduction.